The chief executive of the Texas electric grid operator discusses what caused the rolling blackouts across the state on Wednesday — and why he doesn't know if he lost power in his own home. 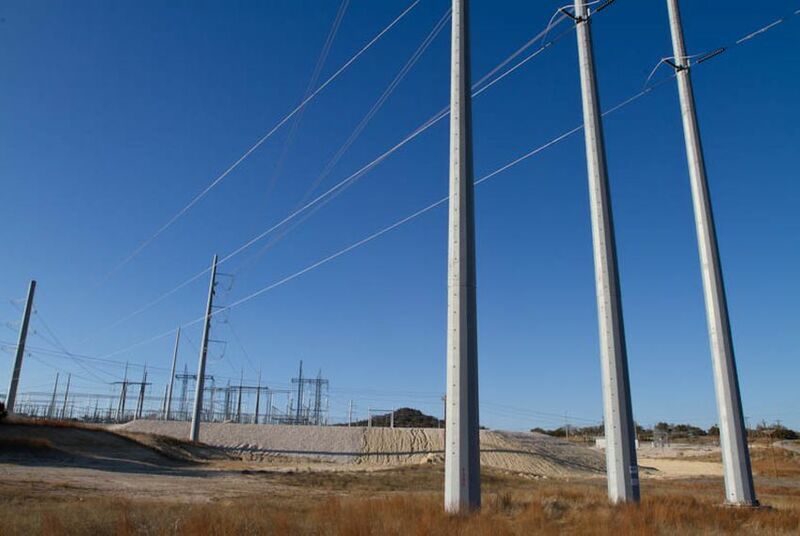 Last May Trip Doggett became president and chief executive of the Electric Reliability Council of Texas, which operates the Texas electric grid (he had previously served in that position in an interim capacity for a few years). Doggett spoke with the Tribune Friday by telephone about what is surely one of the greatest challenges of his tenure — the rolling power blackouts that the state experienced on Wednesday. An edited transcript and audio of the conversation follow. TT: Is everything back up and running? I know Luminant's [coal plants are] back. What's the situation in the Valley? Doggett: Things are good — much better in the Valley. As far as system-wide — no not everything is up and running. [Forced outages are still affecting about eight units with 1,372 megawatts.] But in the Valley things are much better. Had a challenging night last night down in the Valley with some generating units that tripped, but it looks as if, if things stay as is, we'll complete the morning peak without incident in the Valley — [and without incident] system-wide, including the Valley. TT: On Wednesday, more than 50 plants went offline, ERCOT has said. Were they a few big coal plants plus mostly gas plants? Doggett: They were a variety. That's a point I should make is that this was distributed across the state. It was multiple owners; it was multiple fuel technologies. So it wasn't limited specifically to coal. It included a number of gas units as well. TT: Did we have a gas supply shortage on Wednesday? Doggett: Generally, no. There were some specific locations that had some challenges and we're certainly appreciative [for] the involvement of the Public Utility Commission and the Railroad Commission [in helping] us work through those individual limited challenges. There were also some issues that we noticed where the transmission providers who make the decisions on which loads to interrupt as part of the rotating outages were potentially impacting gas supplies to a very small number of generating units. And so we dealt with those on a case-by-case basis, and will revisit with the transmission providers opportunities to prevent that from happening in the future. TT: Were there problems with wind-power plants needing to be shut down for high winds or icing blades, and also did nuclear plants have any problems? Doggett: I'm not aware of any nuclear plant problems, and I'm not aware of any specific issues with wind turbines having to shut down due to icing. I would highlight that we put out a special word of thanks to the wind community because they did contribute significantly through this time frame. Wind was blowing, and we had often 3,500 megawatts of wind generation during that morning peak, which certainly helped us in this situation. TT: is there an issue with homeowners needing a lot of gas for heating, and that was conflicting with gas supplied to the power plants? Doggett: I'm not aware of that being a major issue. Perhaps there were some isolated situations where that occurred. As a matter of fact, I do believe there were some isolated situations. I can't give you the specifics, but that was not a significant contributor to our problem. Our problem was more around the 50 generating units who had issues with their lack of winterization or insufficient winterization efforts that caused the major problem. TT: There's talk of re-prioritizing the gas supplies, so that gas-fired power plants, as I understand it, might have a little bit more priority. But that seems to me a pretty tricky question because homeowners who need gas for heating are at the top. And your affidavit to the Railroad Commission alluded to this. How could that protocol be effectively tweaked so that homeowners didn't lose out? It's a conflict between do you want heat, or do you want electricity, it seems to me. It's a tough thing. Doggett: You're right, It is a delicate balance — and this is one that's been talked about for years. And my point is it deserves more discussion, and I think that the Public Utility Commission is committed to having more dialog with the Railroad Commission and discussing whether there is an opportunity to clarify how those priorities might be addressed. TT: Changing the subject a little bit, wholesale power prices were incredibly high on Wednesday — I think 100 or more times what they were in the real-time pricing than the day before. Is there any possibility of market manipulation, which if it were to happen might logically occur at a time when one could blame another factor like the weather? Doggett: I actually would defer that question to the independent market monitor. I know he's been looking at the potential of that and could certainly share some comments with you. TT: Do you have any sense of how much money this will cost buyers of wholesale power? Are we talking tens of millions or hundreds of millions of dollars? Doggett: One thing I did not highlight during the call yesterday that I will highlight for you today is that a significant amount of that impact will really be on the backs of the power plants that were unable to supply power during that time frame, as opposed to necessarily being on the backs of the load. Because the power plants will have a financial penalty for not being available to generate that power during those times. TT: But obviously, somebody bought the power at very high prices. And is that eventually likely to be passed on to consumers? And if so, how much more could Texans expect on their bills? Doggett: It's really [not] possible for me to estimate that, because I'd have to have insight into their hedging that would have occurred in the day-ahead market as an example, or through bilateral contracts. So it would be difficult for me to speculate on that number. TT: I know you all are saying that the list of generators that failed — plants that failed — can't be made public because that's confidential market information under market rules. What is the competitive issue there? I get that there are market rules, but I think one could make a pretty good case that the public has a right to know who and what caused our power to go out during freezing temperatures. Doggett: Well, we'll be working with the market monitor and the commission and the Legislature to work through what information we can make available to help in that effort. What immediately presents a conflict for us is that our protocols prevent us from publicly disclosing information related to outages. It perhaps could allow other power plants that are running to impact offers if they were aware of the status of other resources across the grid. TT: But for a major event like this do you think it might be possible to make an exception, or change the rule? Doggett: I couldn't do that, but we certainly could — I'm sure the commission will be considering that. But I don't have the right to change the protocols to allow that. TT: [Regarding] the generator list not being made public — this could play into some people's concern that ERCOT is at least in some significant part run by the generators, who make their own rule, and this is an issue. How would you respond to that? Doggett: Well, I would say first of all that ERCOT's primary responsibility here was ensuring reliability of the grid and avoiding any widespread outages across the state. So our focus certainly was on getting the grid in a reliable state without any concern with which specific owners of resources, or which specific resources, were facing the forced outages. I think I would look more to the independent market monitor to look into those details and investigate whether there was anything inappropriate occurring. TT: Does ERCOT have the authority to order the power plants to get their act together and prepare properly for winter? And if not, who does — because there's obviously an argument one could make that the less maintenance you do on a plant, the more money you could stand to make, in theory. What can be done to require better maintenance of plants in Texas? Doggett: One thing that I will be looking at is to see if ERCOT may play a stronger role in perhaps reviewing plant winterization procedures. And perhaps looking for affidavits from the power plant owners to certify that their plants have been winterized prior to winter weather occurring. I think that's an example of something that we will potentially propose to improve our ability to ensure that they're ready for the cold weather. TT: And would that come with penalties, perhaps, or inspections and so on? Doggett: It certainly could come with inspections. It could come with audits — perhaps protocols could include some penalties if it's determined that there is inadequate winterization efforts that take place. But I think we're all kind of speculating at this point on what changes to the protocols [could be made]. TT: Is it likely as a result of this occurring that Texas would be open to greater inter-ties with other grids? Doggett: When the severe winter or summer events occur, it often impacts our neighbors in the same way that it impacts us — lessening their ability to provide support to us. For a period of time during the day [Wednesday], we were importing power over a tie with Mexico, and we found at some point during the day that Mexico had to curtail that import, because they were having problems with the cold weather adjacent to us. So sometimes that's not as promising as it appears on the surface. TT: Did your power go out at your home in the Austin area? Doggett: I'm not sure if it did, because I was at a control room all day and even stayed at a hotel that night following the event. So I was at work dealing with the situation, so I'm not sure.